A bunch of gizmos that go largely unused only make meetings harder to manage. Who needs more complication? Once you try our carefully selected features designed for everyday use, you'll wonder why all online meeting tools don't work this way. See a list of features-by-subscription here. 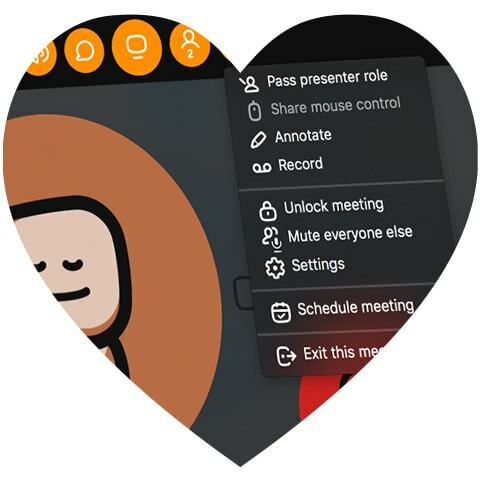 As if video didn’t make meetings engaging enough, join.me offers video bubbles - simple, light, floating visual images of you and the people you are meeting. 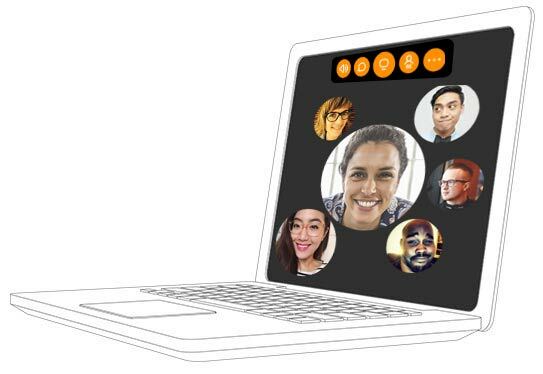 Users can view live video bubbles of one another during video-only meetings or while simultaneously sharing their screens. All our advanced audio features are included standard in your join.me PRO or BUSINESS license. This includes local conference numbers in the U.S. and 50+ countries, optional toll-free numbers, and audio controls for meeting hosts such as Active Speaker, Individual Mute and Roll Call. Plus, no matter how everyone joins the meeting, whether by phone or internet calling (VoIP), unlimited bridged audio conferencing means everyone will be on the same call, no matter how they got there! join.me lets you take your meetings on the road and host them from your iPad®, iPhone®, and Android devices. 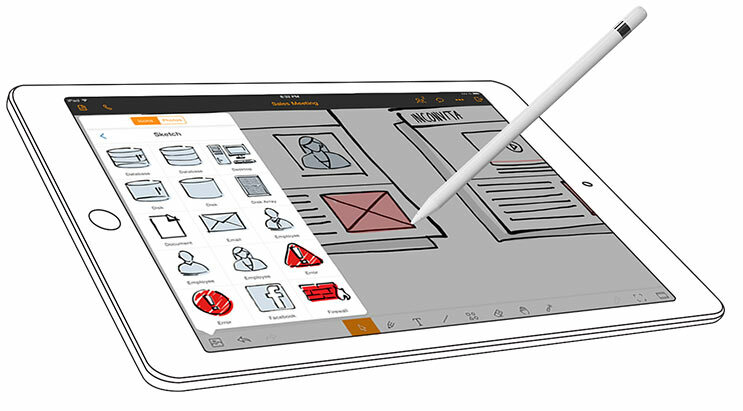 And the join.me Mobile Whiteboard for iPad and iPhone offers a whole new way to collaborate and brainstorm. Click here for more information on our mobile apps. Set up your meetings in advance with our convenient join.me Scheduler, or directly in Outlook or Google Calendar. Send invitations, see how many meetings you have scheduled, and start each meeting with one click. Make it easy to join the conversation. Set up your own custom link for meeting, like "join.me/theCloser". Whether it is your name or your company’s, make the meeting yours. You can also brand your meetings with a personalized background so you convey just the right image to your attendees. Now you can get everyone on the same page, even when not in the same room. 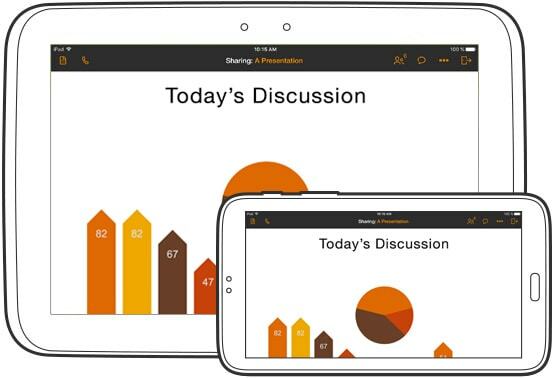 With join.me Mobile Whiteboard for the iPhone and iPad, anyone on a desktop, laptop, or mobile device can see what you are thinking in real-time and take part in the discussion. With an infinite canvas, it has all the space you need to capture every idea. 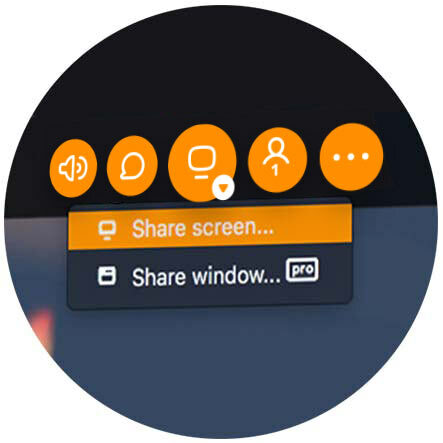 Take turns presenting your screens in a true tag-team presentation. Simply hand over the presenter role to any of your participants so they can broadcast their screen with full control. Whatever’s on your desktop – a presentation, quarterly report or flip book animation – join.me makes it ridiculously easy to share with peers and coworkers, as if they were there looking over your shoulder. And with our join.me PRO account, you can share it with up to 50 people.